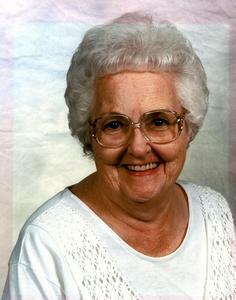 Dorothy Shoup of Holland and formerly of Wooster, OH and Stockton, CA made her way to heaven on Monday July 23rd. Dorothy was born in Wooster, OH on October 13, 1925. She passed away at age 92 at Resthaven Care Center in Holland MI peacefully while sleeping and was in good health at the time of her passing. Dorothy is survived by her son, Jerry Shoup of Holland MI, nephews and nieces, 4 grandchildren and 6 great grandchildren. She was preceded in death by her husband Roy Shoup of Holland, a son Rodney Shoup of Aiken SC, a brother Melvin Hites of Wooster OH, and a sister Evelyn Besancon of Beeville TX. Dorothy was a nurse who worked in the Emergency Room at the Wooster OH Community Hospital for many years. She also worked as a nurse in a doctor’s office in Stockton CA. She had a great sense of humor and was loved by everyone who knew her. She served as a second mom to many of Jerry Shoup and Rodney Shoup’s classmates and friends from elementary school through high school. The Shoup’s door in Madisonburg and Wooster OH was always open to classmates and friends and Roy and Dorothy never kept track of the house guests and were only concerned about their well-being and safety. Dorothy loved people and animals. She cooked meals for neighbors who were poor and needed help. She constantly fed birds and squirrels. While all sons and daughters consider their mom an angel, she really was an angel and that is her legacy. A memorial service will be held 11 am Tuesday (August 14) at the Dykstra Funeral Home-Mulder Chapel, 188 West 32nd Street, with the Rev. Ryan Winningham officiating. Burial will be in Sunset Memorial Gardens in Graniteville, SC. Memorial contributions may be made to Resthaven Care Center.